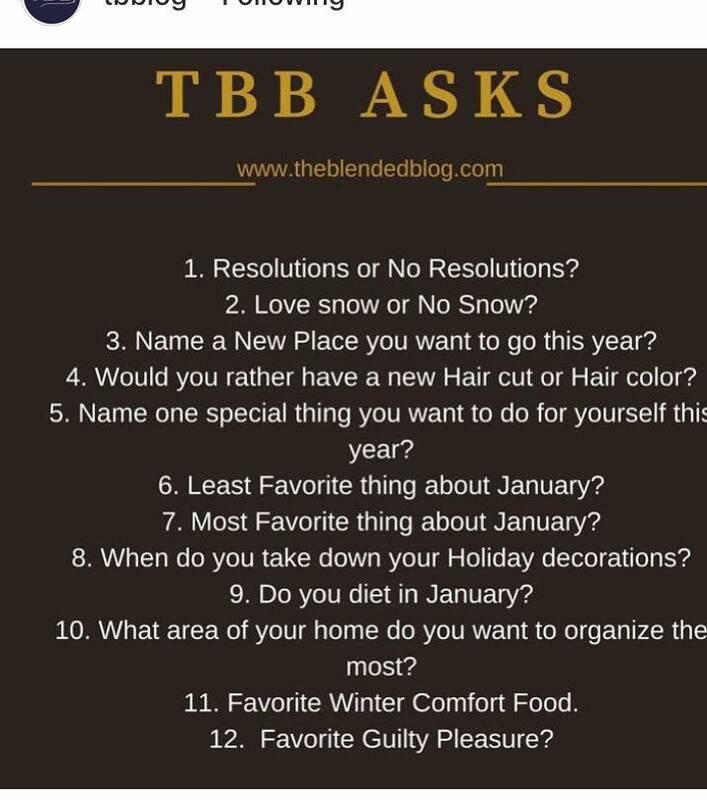 sweat like becky: TBB Asks! I made a blogging goal this year where I would like to participate in more link ups and escape my shell so to speak. 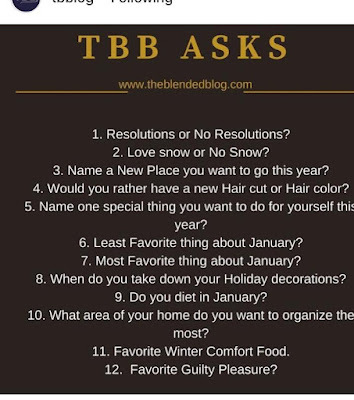 I did the by the numbers link up last year with The Blended Blog and I look forward to doing more in the coming months if I remember haha. I love reading all the various posts these great bloggers write and I hope you enjoy this one! I don't really do resolutions but I do set goals for myself so depending on one's perspective, they could be one in the same or completely different. Most of my goals are related to my fitness numbers and being better then I was last year. I hate snow unless we are in the mountains. I don't care how pretty it is or if we have a brown christmas, I really hate snow. I hate shoveling it, I hate running in it, I hate driving in it, I hate how it melts and everything turns to ice. 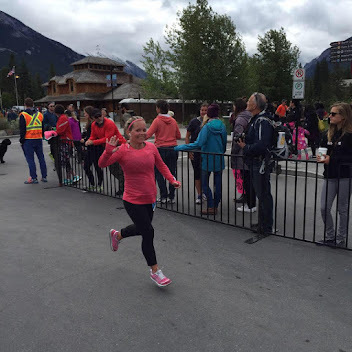 I am hoping to get into the SeaWheeze for the fifth straight year so lets say I hope to get to Vancouver this year!! I wish I was brave enough to go like white blonde or white grey or some funky hair colour but I just cannot pull that off and I never stray too far from blonde highlights when I get my hair done so I will have to say hair cut. I have been braver and bolder recently and I look forward to what I decide to do this year. When I think of something special for myself that I would like to do this year, I think it would be like a spa day somewhere or go to one of those flotation places. I think that would be really fun to do. My least favorite thing about January is that it is usually so cold and you are stuck inside but we have had some nice weather this month after a brutal end to December. Plus it tends to snow a lot in January and we all know how much I hate that unless it is in the mountains haha. My most favorite think about January is that it is a brand new slate and really a fresh start. I saw something on Instagram that said 365 new days, 12 new chapters and I really like that. So much optimism in January!! I take down my christmas decorations usually on the 27th or whatever day we get back from Saskatchewan. This year it was the 27th. Greg hates that I take them down so early but I put them up starting right after remembrance day, so when the 27th rolls around, I was done. I never diet but I try to eat better and drink less starbucks but never diet. My built in desk in my kitchen. I organize it every Monday and by Tuesday you would think I have never touched the area. I hate the whole thing altogether but it would be a lot of work to get rid of it and then what do you do with such an awkward space? I would love for this area to get organized and stay that way forever. My favorite winter comfort food.....hmm I think I have a couple haha and they are all made by Greg. Beef Bourginon, homemade chicken or turkey or duck noodle soup and stew. I don't really like stew but I like dumplings and Greg only makes dumplings with stew hahaha. Family Feud is hands down my favorite guilty pleasure. My pvr records 2 episodes every day at 5pm and I usually watch them before I go to bed. Sometimes I don't get a chance to watch them and then I have a marathon session when Greg is out or something haha. It is my favorite tv show and I hope to one day be on it!!! ummmmm, I love Boeuf Bourgignon too! So glad you're linking up with us!